Since this is the Year of the Cucurbit here at GIEI, we’re going to be talking about squash a lot. I thought, therefore, that this would be a good time to remind our readers that squashes come not just in lots of different varieties and appearances, but also in four distinct species. (Actually more, but four that we commonly grow in this country.) Why is it important to know this? 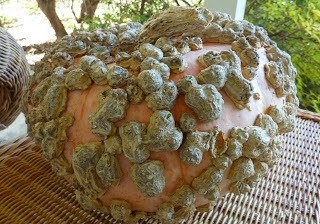 Well, for one thing, if you’re planning to save seed from your open-pollinated squash for replanting, you need to realize that when more than one variety of squash in the same species is growing in your garden or in nearby gardens, they are likely to cross-pollinate and produce seed that won’t grow a plant like its parent. You can prevent this either by using seed-saving techniques like isolation and hand-pollination (see books such as Seed to Seed to learn how) or by planting only one variety per species (though you’ll still have to find out what your close neighbors are planting). Another reason to learn to identify the different species of squash is that they vary in degree of susceptibility to pests and diseases. 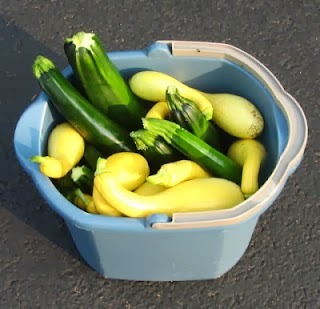 Cucurbita pepo includes nearly all summer squash, such as zucchinis, yellow crooknecks, patty pans, etc. 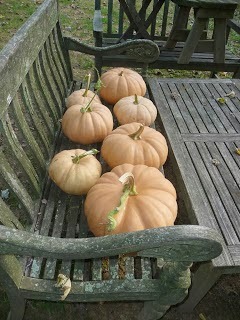 Many pumpkins are part of this species, along with winter squash such as acorn, delicata, and spaghetti. C. pepo squashes have a mild flavor, mature relatively quickly, and don’t store very well; even winter squashes need to be used within a few months. Cucurbita maxima squashes are good for winter storage and come in many varieties, including large pumpkins, Hubbards, Kabochas, buttercups, and many others in a range of colors and shapes (though mostly roundish). They are quite susceptible to pests and diseases, but with persistence and luck can be grown well, and are usually rich in flavor. The Cucurbita moschata squashes offer the best option both for pest avoidance and for long-term storage (plus they taste delicious). This group includes butternuts, Long Island cheese, Pennsylvania neck pumpkin and other tan-colored squash, as well as a group of dark green Asian squash (such as Futsu Black) and my favorite summer squash, Tromboncino. These squashes have hard stems that resist vine borers, and are often more resistant to squash bugs and diseases such as powdery mildew. The final group is Cucurbita argyrosperma, formerly known as C. mixta. This group includes cushaw squash, commonly grown in the South, with good resistance to pests and to drought. They are less sweet in taste than many other squash. So how do you know which species of squash you are planting? Many seed packets and catalogs will provide species information for every variety, but some don’t, so – ask! Or, if that doesn’t appeal to you, Google is your friend. 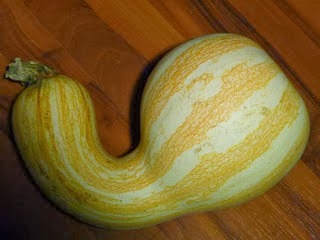 Also please note that many types of ornamental “gourds” are actually squash varieties (usually C. pepo or C. maxima). So these may cross with your squash as well, and produce odd seed results.